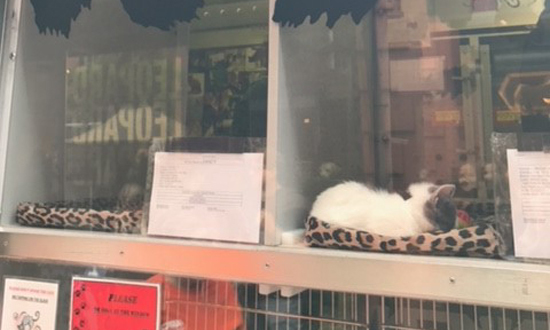 At the end of September, the ASPCA hosted an extra special cat adoption event in New York City in partnership with kate spade new york and local fashion blogger, Man Repeller. The event included a feline-inspired kate spade new york pop-up shop, appropriately dubbed “Leopard Leopard Leopard,” and a custom-wrapped ASPCA mobile adoption van featuring impossible-to-miss leopard spots. The pop-up shop was a two-day event that finished with the ASPCA hosting on-site adoptions. A portion of the sales from the event went to the ASPCA, and each of the eight guests who adopted a kitten during the event received a limited-edition kate spade new york cat bed—featuring leopard fabric, of course. 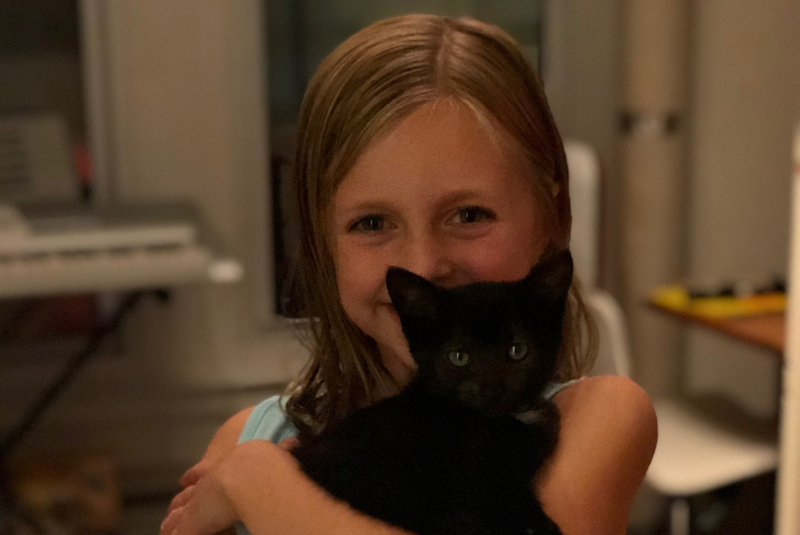 This fun adoption event was a huge success, and it was also a very special day for one member of the kate spade new york team, as she and her family were able to bring a new furry friend into their lives. Lalena lives a busy life in New York City, so she, her husband Mike and their two children Stella and Jake try to escape the city for some peace and quiet as much as they can. But when it came time for this exciting partnership and pop-up shop, there was no doubt that this would be an event for the whole family. 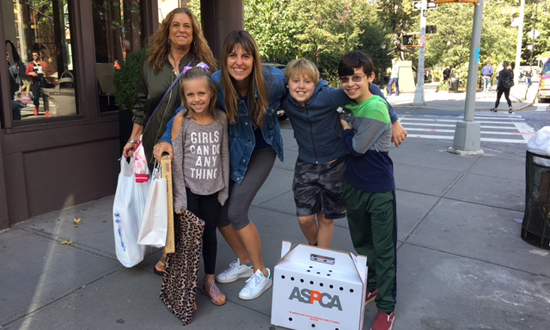 So on that Saturday, September 30, Lalena and her kids anxiously waited for the adoption van to pull up, knowing that their future pet was waiting inside. Though the kids spent a lot of time pouring over the adorable kittens inside the van, there was one black-and-white kitten who stood out. 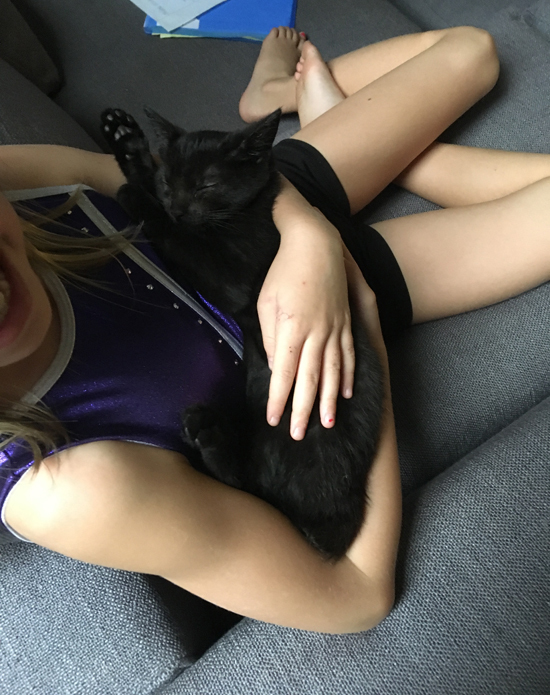 After the ASPCA adoption team prepped the kids on everything they needed to know about caring for their new friend, Lalena made the adoption official. At the time, Jake was reading a book series about cats called The Warriors, and from that series he found the inspiration for their kitty’s new name—Luna Dawn. Lalena tells us that life with Luna has changed a lot, but for the better! Luna has truly become the light of their lives and is described as adorable, feisty and sweet—a classic lady. “Our kids take her everywhere with them,” Lalena says. 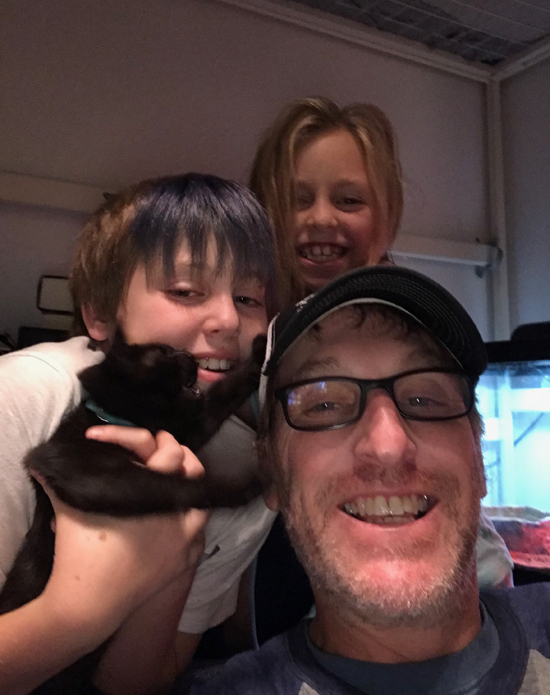 They make videos of her - she even has her own Instagram she shares with Jake’s bearded dragon!” As for Jake, he’s been staying on top of his kitten-duty responsibilities, even calling in to check on her upcoming veterinary appointments.